An initiative to step out in faith and follow. To help the 26,000 people in the 15 mile radius of our campus find hope + life in Jesus! “For the Son of Man came to seek and save the lost.” [Luke 19:10] That was Jesus’ mission. As a church, we are called and empowered to share the love of Jesus, heal the broken hearted, and set the captives free. We must accept this mission. People being set free from harmful lifestyles & addictions! We’ve almost tripled in attendance! WHAT DOES THE CAMPUS PLANS INCLUDE FOR COME ALIVE?  The Radiant Life campus will now include a brand new, state-of-the-art worship center, a spacious lobby with indoor and outdoor seating, a cafe, adult meeting rooms for large or small groups, a full size gymnasium connected to a new youth space, two indoor playgrounds (lower elementary & upper elementary), a brand new kids area full of fun, interactive learning, as well as a new office wing. The back of the Radiant Life campus will have outdoor walking trails, frisbee golf, a soccer field, two sand volleyball courts, an outdoor playground and a pavilion. We have seen God doing something GREAT in our midst. We’ve been a part of the UNBELIEVABLE. God is on the MOVE and lives are being radically changed. We truly believe this is just the BEGINNING of what God wants to do IN and THROUGH us. Our initial conceptual estimate is approximately $6 million. This estimate has contingencies builtin and we expect that actual bids will bring this number down some. What role will COME ALIVE initiative play in funding? Our goal is to raise at least $600,000 during our two-year COME ALIVE initiative to serve as a down payment. We plan to borrow the rest from Wesleyan Investment Fund (WIF), a non-profit institution that serves to expand the Kingdom. Should I direct my regular giving to the COME ALIVE initiative? No. Your gift should be above and beyond your regular giving and tithing to our ongoing ministry and operational funds. Take time to prayerfully ask what gift God would want you to offer. That’s between you and God. Again, we are asking everyone to prayerfully consider giving that would involve sacrifice. Everyone’s amount will be different relative to their ability. Giving will not be the same for each person. We are not looking for equal giving, but equal sacrifice. LIVE LIKE JESUS. SHARE HIS LOVE.